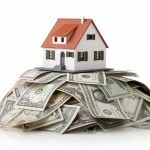 Polk County Insulation > Home Insulation Blog > Blow-In Attic Insulation Provides Comfort for All! Blow-In Attic Insulation Provides Comfort for All! As a child, you may have wondered what was in the attic of your home. You may even have decided to try and climb up there to check things out. Unfortunately, the truth is that your attic was probably just another part of your home. 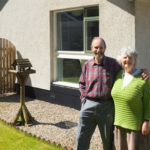 In fact, it may have been an unknown source of frustration for your parents as they tried to balance the budget each month, since attics can be one of the easiest ways to lose energy. Now that you are an adult, you may want to revisit your attic to observe what kind of insulation it has in order to ensure it won’t drain your monthly budget. If you are concerned that the insulation in your attic is insufficient, you may want to call in our professionals to take a look. We will come and assess your attic insulation and inform you of the best methods for remedying the situation. One of the easiest fixes for a poorly insulated attic is through the use of blow-in attic insulation. 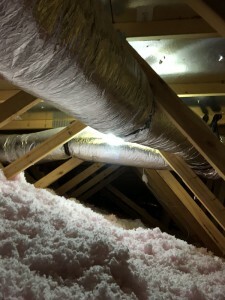 This type of insulation is a great choice due to the fact that it can easily be added to your attic since it comes in small pieces that can be blown into hard-to-reach spaces. When you choose blow-in attic insulation as a remedy for a poorly insulated attic, you will be pleased with the results. You will find that you have decreased energy bills since you won’t have to constantly run the air conditioner or fan anymore. This is due to the fact that the added insulation will keep the transfer of heat from the exterior to the interior at a minimum. You will also be pleased to find that the humidity levels in your attic are controlled, which will reduce the chance of mold growth in your attic. To learn more about blow-in attic insulation and the benefits it can provide for your home and comfort, contact us at Polk County Insulation. We look forward to hearing from you!